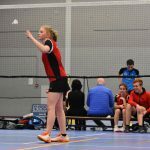 Senior players can play competition on Tuesday evenings and play free badminton on Thursday evenings. Thursday is also the regular evening for recreational players. Youth players (till 18) can train on Tuesday and Friday evenings. Every evening the playing is in sports hall De Vlinder, Hollandseweg 7 in Wageningen. Before you decide if you want to join our club, you may play freely four times. 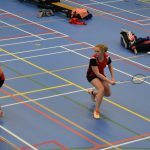 You can give yourself up for this trial period via badminton@kantjils.nl, but it’s not mandatory. You can borrow a racket from us during the trial period. If you want to become a member, then you receive an application form from us (or download the pdf form here, 160KB). You will get your own playing label (if you are a senior) with which you can reserve playtime and -ground on Thursday evenings. You become a member for the whole season, that runs from the 1st of September till the 31st of August. The contribution will be calculated from the first day of your membership period. If you become a member during a season, then you pay contribution for the remaining part of that season. The contribution is € 200,- for both seniors and youth. It is possible to lower your contribution by doing volunteering work (with a minimum of 8 hours) for our club (De Kantjils) or the sports hall (De Vlinder). The work varies from keeping supervision and barservices, to committee functions, volunteer coordinators and youth workers. 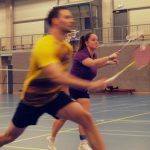 You can cancel your membership by sending an e-mail to badminton@kantjils.nl. If you do this before the 30th of June your membership will not be extended for the next season. When you cancel your membership you pay contribution till the end of a season. If you cancel before the 1st of December, you pay contribution till the end of February. If you are unable to attend regularly we offer the option for a 10-voucher-card (cost € 85,-). It allows you to attend 10 recreational playing events on Thursday evening. Its validity is unlimited. It is on personal title, so not transferable to others. Payment is made in advance and partly used cards cannot be refunded. 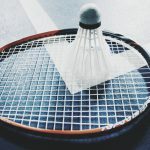 Note: Voucher-card holders will not be registered at the Badminton Union as member and therefore will not be able to sign up for tournaments.